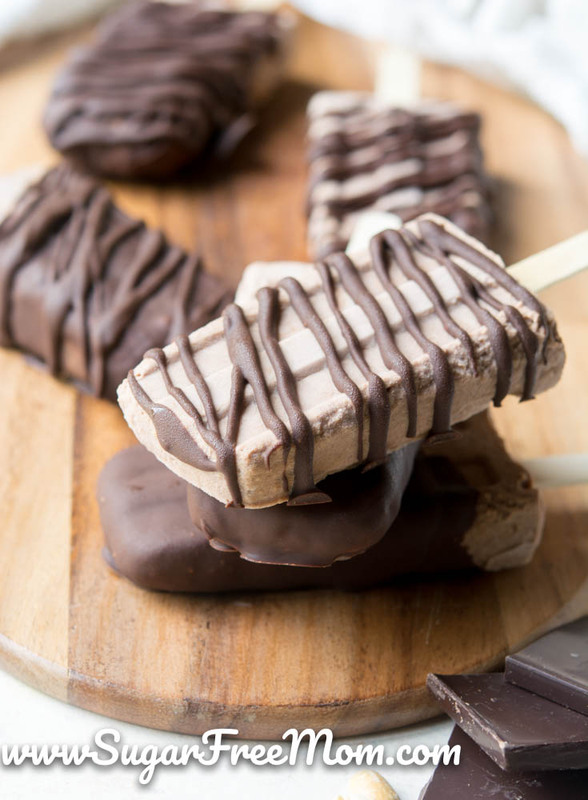 These are Keto, Sugar Free Double Chocolate Peanut Butter Ice Cream Popsicles and they are going to make your Low Carb dreams come true!!!! Chocolate and peanut butter is surely the most classic combo. 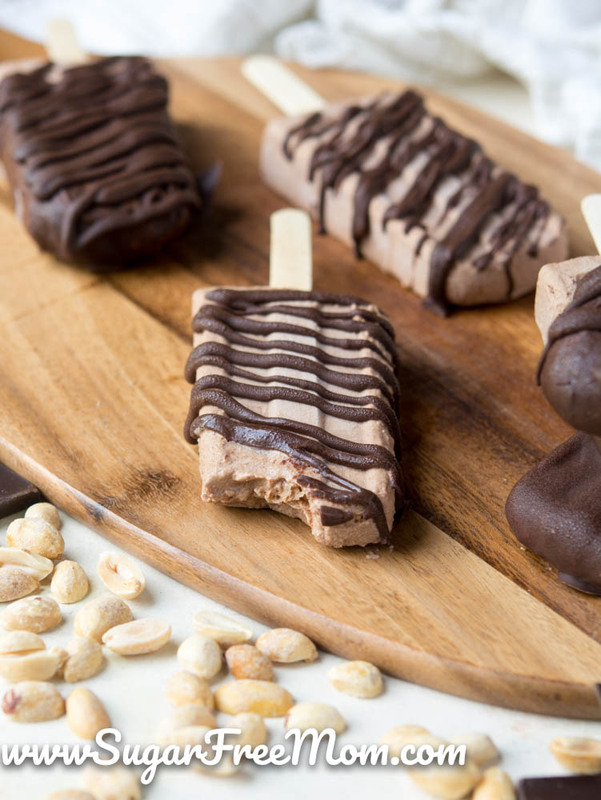 I can’t think of a better combination for a ice cream popsicle on a hot day then pairing these two flavors together coated or drizzled in a sugar free magic shell!! 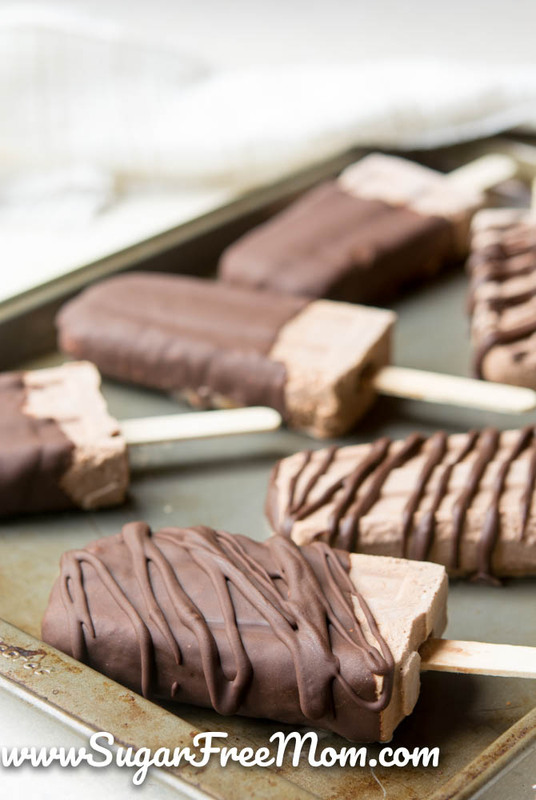 You really don’t even need to make these in molds or eat them on a stick. This is perfect as regular ice cream served in a bowl, but obviously for portion control the popsicle idea is best. It’s like frozen fudge on a stick! Naturally my sweetener of choice is the Chocolate liquid stevia from Sweetleaf! It’s the perfect amount of chocolate flavor! 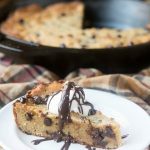 It tastes fantastic and it blends well in non baking desserts! But feel free to use any low carb sweetener you enjoy. This recipe takes just minutes to blend together. The hardest part of course is waiting for the popsicles to freeze. Once frozen they are just delicious as is or remove them from the mold and coat with my Sugar Free Magic Shell! You could even make this into regular ice cream. 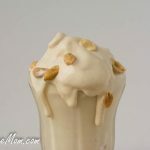 Just blend in blender and instead of pouring into molds, add to your ice cream machine and let it do it’s thing. You’ll have soft serve in about 15 minutes, or a bit longer. I have an ice cream attachment for my KitchenAid. If you have a peanut allergy in the family, you can easily swap out the peanut butter used for almond or another nut butter. If you have a Tree Nut allergy, simply swap out the almond milk with coconut milk and use sunflower seed butter. 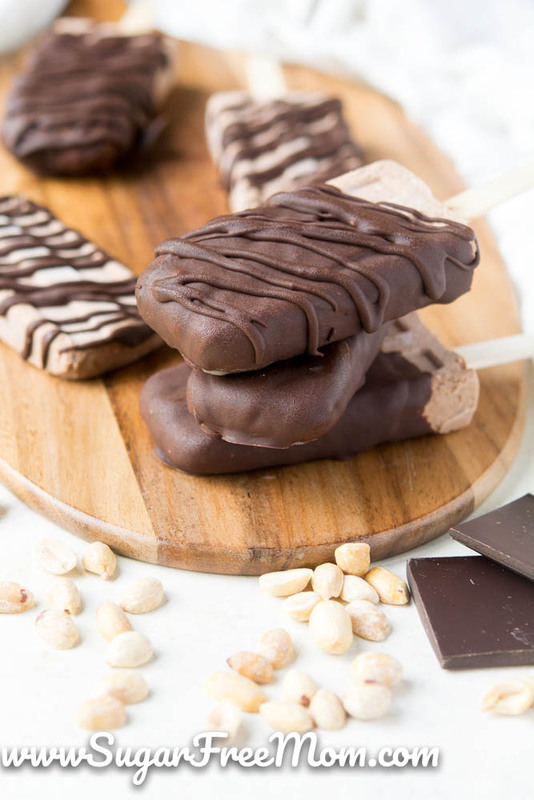 You can either just dip the tops of the popsicles or drizzle all over or spread the magic shell on one side, let it harden for a minute than flip over onto the other side and coat the entire popsicle. And super hard to take pictures of before they melt and I want to devour one! Hope you enjoy these luscious popsicles as much as we do! If you don’t have chocolate stevia you can use vanilla or clear or any there sweetener you like. Try a small amount if granulated sweetener perhaps just 1/4 cup, taste and increase as needed before pouring into molds. This recipe was first published in May of 2015 and got an update of new photos and video in June 2018. 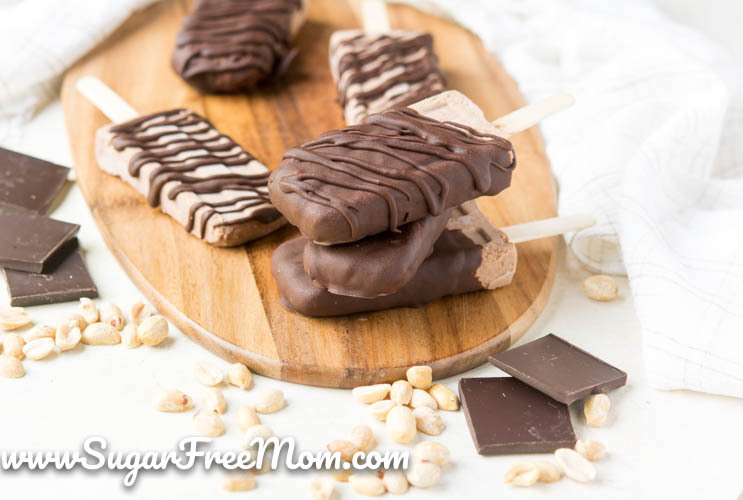 If you don’t want to make the Sugar Free Magic Shell to cover the popsicles they will be delicious even without it or you can use 1.5 cups Sugar Free Chocolate Chips and 2 tbsp coconut oil, melt together and dip frozen popsicles in that. Mix by hand or use a blender to blend all the ingredients together, except the optional chocolate coating. Blend just for a few seconds to combine the ingredients. If you blend too long the mixture will become like whipped cream due to the heavy cream in the recipe. Taste and adjust stevia as needed. Pour into popsicle molds and freeze for 2-3 hours or until hardened. Once hardened, remove by holding mold under warm running water to better facilitate release from molds. Place popsicles onto a parchment-lined baking sheet. 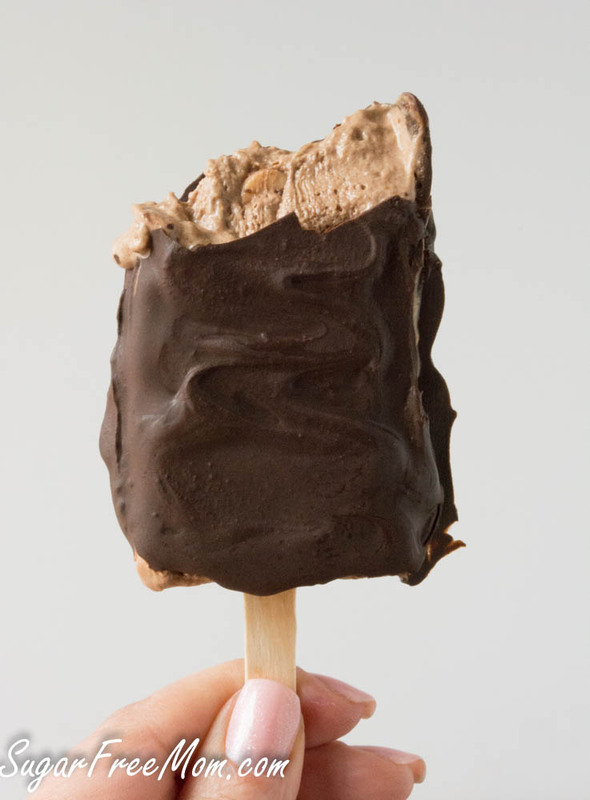 Drizzle the chocolate coating or pour and spread coating with a spoon over both sides of popsicle if desired. Place back on baking sheet to freeze again for about 10 minutes or overnight. 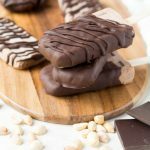 8 Incredible Sugar-Free, Gluten Free, Low Carb Summer Round up Collections You Don’t Want to Miss! I’m with you – chocolate and peanut butter is the best! These look perfect for a hot summer day and awesome that they’re sugar-free. That is one perfect flavor combo, isn’t it!! Totally diggin that Sugar Free Magic Shell!!! 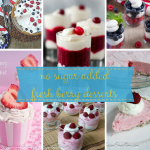 It amazes me all the delicious treats you make without using sugar! 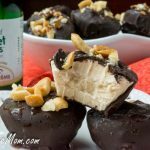 These sound really incredible and I agree that peanut butter and chocolate are totally best friends! 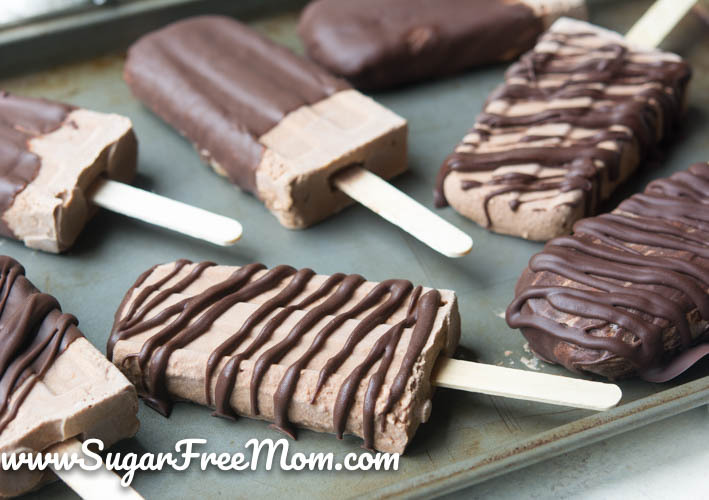 LOVE the sounds of these sugar free popsicles. So totally perfect for hot summer days…yum! Oh my, perfect combination and that magic shell sounds delicious. Who am I kidding, I want the entire thing! Oh my – I think I could eat a dozen of these delicious popsicles! The link to take me to the Sweetleaf website took me to the Walmart website. Hmmmm. I NEVER support them because of their lack of environmental care. I’m interested in the recipe. Thanks. I’ll get to the Sweetleaf site on my own. If these were sitting in my freezer, I would be tempted to eat one every single day in the summertime. What a great treat! Thank you so much for this recipe ….. I can hardly wait to make it. Once again, Thank You !!!!!!!! I’ve just found your website, and I’m in love. I have two children and a third on the way, and want to avoid a second round of gestational diabetes. Your recipes, look so good! A lot of your recipes call for flavored stevia. I understand you’re sponsored, and I’m so excited for you, you deserve it, but I can’t afford every flavor of stevia sweetleaf drops. What can I do to replace the flavored drops, but keep the flavor the same? 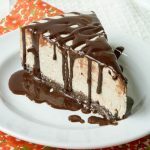 I use vanilla extract in many recipes os either adding that to clear stevia or scraping a vanilla bean. You don’t need all the flavored stevias, clear will work fine too, they just add a bit more intense flavor is all. I get many of my products through iherb.com and my discount code is YAJ035 if that helps. Please tell where to find the chocolate donut recipe. I have you cookbook but can’t find it if you could email it I certainly would appreciate it.Thanks for all your work. God bless you. I don’t own an ice cream maker. Could I just freeze the mixture in a freezer container to dip into like a regular pint/half-gallon container of store bought? These look delicious! I can’t have dairy, can full fat coconut milk or cream be substituted for the heavy cream? I can’t even believe how amazing these are! 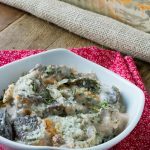 Thank you so much for sharing this recipe, I LOVE IT! I love using the preferred peanut butter. Have you ever used it in recipes?